The other day my mom mentioned that she doesn’t have an oven in her apartment in Colombia because she simply never bakes. I gasped at the thought of not having an oven because baking in the fall is one of my favorite things to do. As soon as the weather gets cooler and the leaves start changing, I bring out my flour and baking pans and start baking all kinds of great things like apple pie, pumpkin pie, carrot cake and this amazing banana bread which I have to bake every fall at least once. 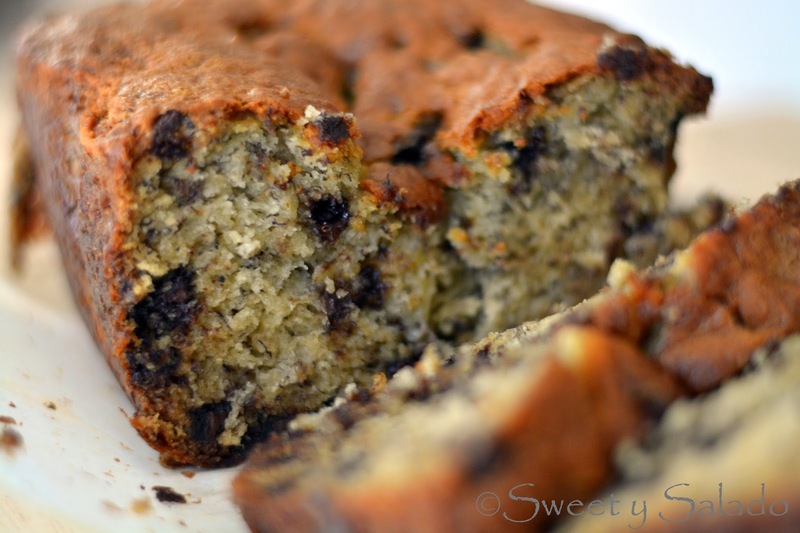 This is a very basic banana bread recipe where I love to add chocolate chips and some times walnuts, but feel free to add anything you want or simply don’t add anything at all to enjoy the full flavor of the mashed bananas. Trust me, this bread is so good that you will want to make it time and time again. 2. In a medium bowl, mix flour, salt, baking soda and baking powder. Set aside. 3. In a separate bowl, mash the bananas with a potato masher or fork. Set aside. 4. In a large bowl cream butter and sugar, you can do this with a handheld mixer or a spatula. Then, add the eggs, one by one and mix well. Add the milk and then the vanilla extract. Now, add the bananas and the chocolate chips. Finally, add the dry ingredients and mix well until the flour disappears. 5. Pour the batter into a prepared 9 x 5 x 3 inch (23 x 13 x 8 cm) loaf pan and bake for 1 hour and 10 minutes or until a toothpick inserted in the middle comes out dry. 6. Once the bread is ready, let it rest inside the pan on a cooling rack for 10 minutes. Then, take it out of the pan and let it cool completely on the rack before serving. Absolutely! The vanilla extract is only used to give it a little bit more flavor but you can either use a different flavored extract or not use it at all. 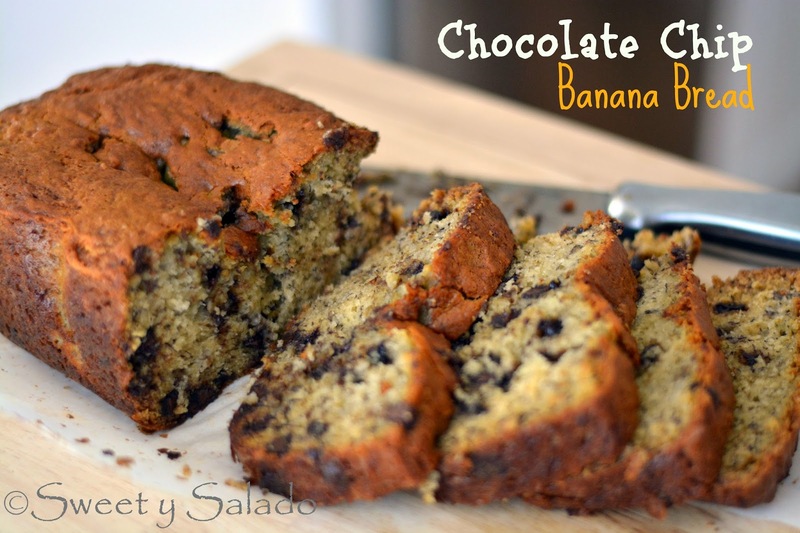 Great recipe… I also added 1/2 tsp cinnamon and ended up perfect! Yes! Almonds and walnuts work amazing when making banana bread. I’m glad to hear you’ve enjoyed the recipe.